Tillen Farms is now part of the Stonewall Kitchen family! Together, we offer innovative products and unique flavors for meals that are memorable from the first sip to the last bite. As the makers of premium cocktail garnishes, we strive to set the industry standard for what jarred fruits and vegetables can taste like. That’s why we use only the best ingredients, harvesting the majority of our produce from the rich soil of the Pacific Northwest at its ripest and employing a flash pasteurization method to eliminate the need for anything artificial—you won’t find synthetic dyes, additives or corn syrups here. Instead, all you experience is the crisp texture and exceptional flavor of produce picked and packed at the peak of perfection. 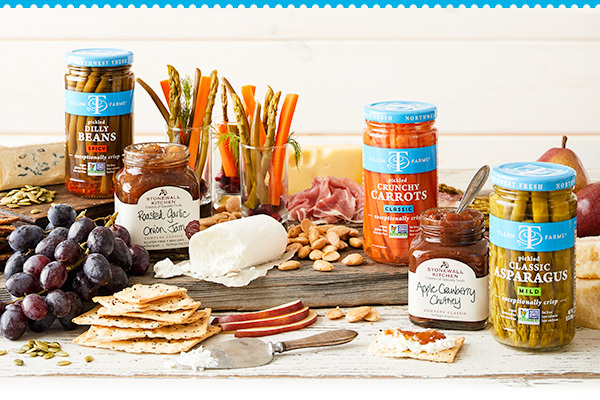 From lightly brined asparagus to juicy maraschino cherries, our products are crafted to enhance both sweet and savory beverages. Try a Spicy Dilly Bean as a swizzle stick in a dry martini and add a few Bada Bing Cherries to a chilled glass of bourbon. 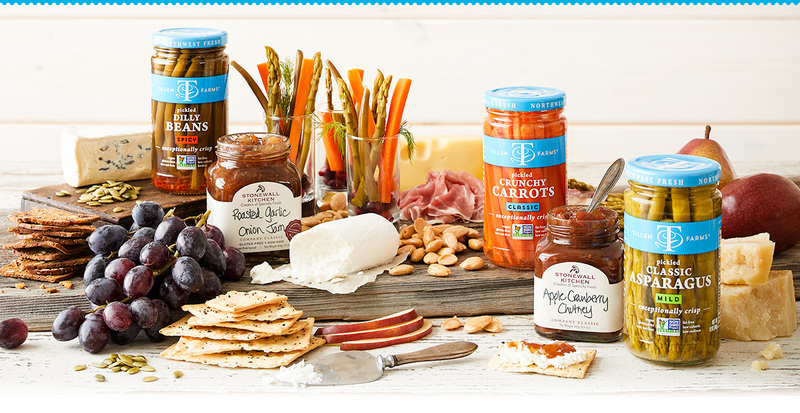 Or, pair any of our Tillen Farms products with your favorite Stonewall Kitchen dips, sauces and spreads for delicious snacks, appetizers and dishes—the possibilities are practically endless! We’re proud to say that our entire range of Tillen Farms products is gluten free, nut free and vegan. Most of our offerings are also Kosher certified and non-GMO. And everything we create is naturally fat free and low calorie, making our products guilt free as well as great tasting.